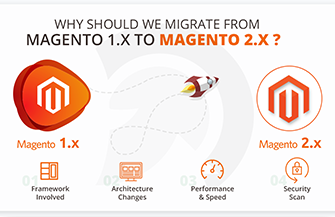 This Extension allows developers an easy way to lock out customers, while they maintain their stores. Store Maintenance extension allows you to give developers/administrators an easy way to lock out customers, while they maintain their stores. 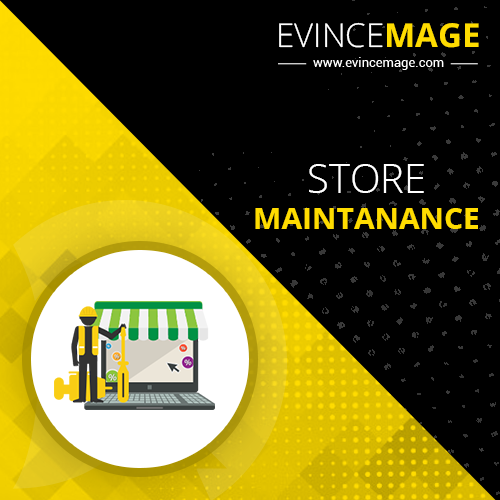 The Evince Store Maintenance Extension helps online users to put their online store in maintenance mode for specified time period where users can configure it from backend. 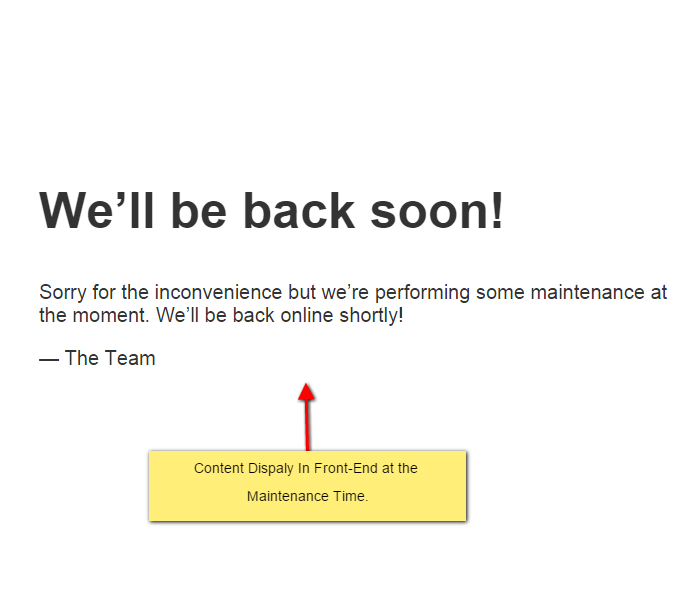 A custom html page can be defined in the backend, which is displayed to all customers, while the store is in maintenance mode. 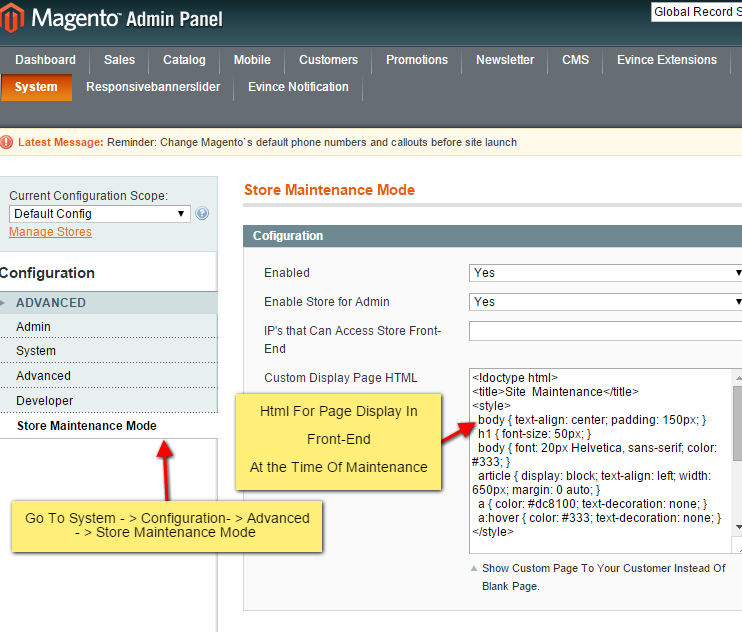 This allow administrators to switch off any store view during maintenance operation. IPs can be white listed from within the backend, so chosen accounts can view the store frontend while in maintenance mode, without having to have administrator access.